Lawyers bodies have published some guidance for lawyers dealing with litigants in person, for litigants in person on what to expect from lawyers representing other people involved in their case, and to help people who do have lawyers to understand what is expected of their lawyer when dealing with an unrepresented party in the case. You can find the guidance on the Bar Council website here. His Honour Stephen Wildblood QC’s Newsletter, circulated on 29 April 2015, may be downloaded here. UPDATE – This event has been postponed due to lack of interest, but it is planned that it will be run on a future date. Please contact Rebecca Cobbin if you would like to attend when rescheduled. At 4.30 p.m. on 20th April 2015 local family lawyers (Ben Jenkins, Lucy Reed & Judi Evans) will run a conference that is open to members of the public in which he will explain some of the basic law and procedure that is applied by the family court. The conference will be held at the Civil and Family Justice centre, 2 Redcliff Street, Bristol and will end by 6 p.m. It will not be possible for the lawyers to discuss individual cases, of course, nor will they wish to express any opinions about whether there should be any changes in the law. The intention of the conference is to encourage a better understanding of how the court currently operates and some of the dilemmas that it faces. There will be opportunities for discussion and for questions to be asked. If you wish to attend please can you leave your name, the organisation that you represent (if any) and your contact details by emailing the Family Delivery Manager, Ms Rebecca Cobbin on rebecca.cobbin@hmcts.gsi.gov.uk. This website makes a very important contribution to the system of family justice in this area. It has been created by a team of lawyers who are dedicated to the promotion of the welfare of those that the family court and legal community seek to serve. The team has worked under the outstanding leadership and guidance of Lucy Reed, a barrister from St John’s Chambers in Bristol, who designed the website herself. Like the members of that team, I am determined to ensure that the system of family justice in this area is both accessible to all and optimal. Therefore it has been my privilege to offer my support to that team, to work with them and witness Lucy’s leadership and drive. This is a website for the community as a whole, not just lawyers. It is intended, in particular, to help people who may find themselves involved in distressing family disputes. A key feature of it is that it helps people to access legal, emotional and social support which, hopefully, may help them to avoid litigation. Family litigation has to be a last resort because it is both emotionally and financially very demanding. If the demands of that sort of litigation are to be avoided or mitigated people need to have access to as much information and support as possible. It is only in that way that they will know what to expect and how to avoid some of the pitfalls. If the litigation cannot be avoided then we all need to make it as just, intelligible and accessible as we can. I will use this corner of the website to publish information about the running of the court in this area in my role as Designated Family Judge. I want to do my best to ensure that people know what we are doing and how we are all striving to do our best for the local community in these difficult times. The website is not a court service website (that is, it is not a site that speaks in any way on behalf of Her Majesty’s Courts and Tribunals Service). It is not a Ministry of Justice website either. It is a website that has been created by the dedicated and independent team that I have described. I pay tribute to them for what they have done and wish to say how grateful I am to them. 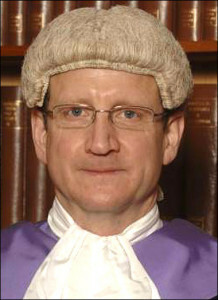 The Supporting Separating Parents in Dispute is a pilot programme being run by CAFCASS (Children and Family Court Advisory and Support Service). It aims to help separating parents in dispute access information, guidance and support about the most appropriate dispute resolution pathways available to them. It is open to people living in the following postcodes : BS1-11, BS13-16, BS20, BS22-24 BS30-37, BS41. The pilot is running for 6 months from November 2014. If you live in a pilot area, you can access the ‘Supporting separating parents in dispute’ freephone telephone based service which will discuss your situation, identify your needs and then match these to the local services which can provide advice and support. The number is 0800 380 0040 and the helpline hours are 9am -5pm. Each parent who calls the helpline will be allocated a case worker, who will help with access to the most appropriate services and where possible, arrange appointments for parents. Wherever it is appropriate the service will encourage you to access a suitable form of dispute resolution service – referred to, under the pilots, as a local out of court pathway. The initial telephone support will be followed-up by a further phone call, around three weeks later, to assess progress on the efforts to resolve the dispute and provide further assistance where necessary. As this is a pilot, callers may also be contacted at later points for evaluation purposes. As this is a pilot, the telephone based service to help parents find the most suitable local service depending on their needs, is only available in the following areas.